Marvel Studio’s Thor: Ragnarok Superpower of Stem Challenge announced! Disney, Marvel Studios, Dolby Laboratories, Synchrony Bank, American Association for the Advancement of Science, Broadcom Masters and Society for Science & the Public announced the nationwide Marvel Studios’ Thor: Ragnarok Superpower of Stem Challenge in conjunction with the November 3, 2017 theatrical release of Marvel Studios’ Thor: Ragnarok, starring Chris Hemsworth, Tom Hiddleston, Cate Blanchett, Idris Elba, Jeff Goldblum, Tessa Thompson, Karl Urban, Mark Ruffalo and Anthony Hopkins. Five finalists will be selected to come to Los Angeles and present their projects, in person, to a panel of experts and to attend the Red Carpet Premiere of Marvel Studios’ Thor: Ragnarok. Each finalist will receive: Two round-trip tickets to Southern California for the finalist and her parent or guardian, including scheduled meals, ground transportation to and from organized activities, hotel accommodations, from October 8 through October 11, 2017; the opportunity to be on the red carpet at the Premiere of Marvel Studios’ Thor: Ragnarok, $500 deposited into a high-yield savings account from Synchrony Bank; a tour of the Walt Disney Studiosin Burbank, California; and more. One grand-prize winner will be selected from the five finalists to attend an immersive three-day mentorship in New York City with Disney Imagineering to build her STEM story, creating a professional-level video teaching other young people how to recreate her Challenge-winning project. The winner will also have the opportunity to demonstrate her Superpower of STEM project live to the nation with a brief appearance on Good Morning America. (The Walt Disney Company is the parent company of Good Morning America / ABC News.) The video created during her mentorship will be made available to students, teachers and families worldwide on the American Association for the Advancement of Science education resource website ScienceNetLinks.com. Complete contest information will be available from August 23, 2017, through September 23, 2017. Entries will be accepted beginning on August 23, 2017 at 4:00AM PT through 6:00PM PT on August 23, 2017. Forapplication forms, eligibility requirements, officialcontest rules and more information about Marvel Studios’ Thor: Ragnarok Superpower of Stem Challenge, please visit MarvelStudiosSTEMChallenge.com. Kevin Feige is producing with Louis D’Esposito, Victoria Alonso, Brad Winderbaum, Thomas M. Hammel and Stan Lee serving as executive producers. The story is by Craig Kyle & Christopher Yost and Eric Pearson, and the screenplay is by Eric Pearson. 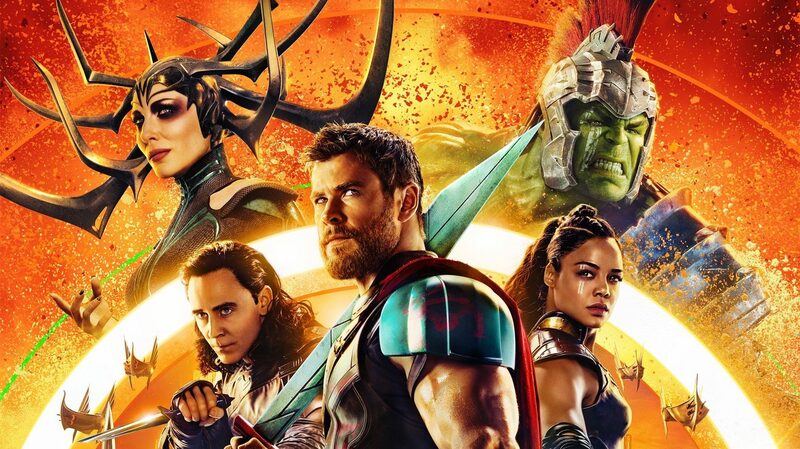 Marvel Studios’ Thor: Ragnarok thunders into U.S. theaters on November 3, 2017. Two new THOR: RAGNAROK International Posters + L.A. Premiere Infos!